Ecodyne offers a LIMITED WARRANTY for most merchandise purchased through this Website. The specific warranty that will apply to the merchandise is provided in the packaging for the merchandise. The following describes the limited warranty for most of the merchandise sold through this Website, but if there is any conflict between the following and the limited warranty statement or disclaimer contained in the packaging, the statements or disclaimers in the packaging shall prevail. Ecodyne guarantees, to the original owner, that for a period of ninety (90) days from the date of purchase, any merchandise purchased through this Website will be free of defects in materials and workmanship and will perform their normal function. If, during such respective period, the merchandise proves to be defective, Ecodyne will ship a replacement part, directly to the shipping address used for the original shipment, without charge. Failure of a part which by its nature is expendable or limited in the time it should be used (for example, a filter designed for a limited life) to function beyond the part’s designed lifetime is not a failure of that part to perform its normal function under this warranty. Labor charges to discover or replace a defective part in your appliance are not reimbursed or covered by this warranty, and you are responsible for providing such labor at your own cost. 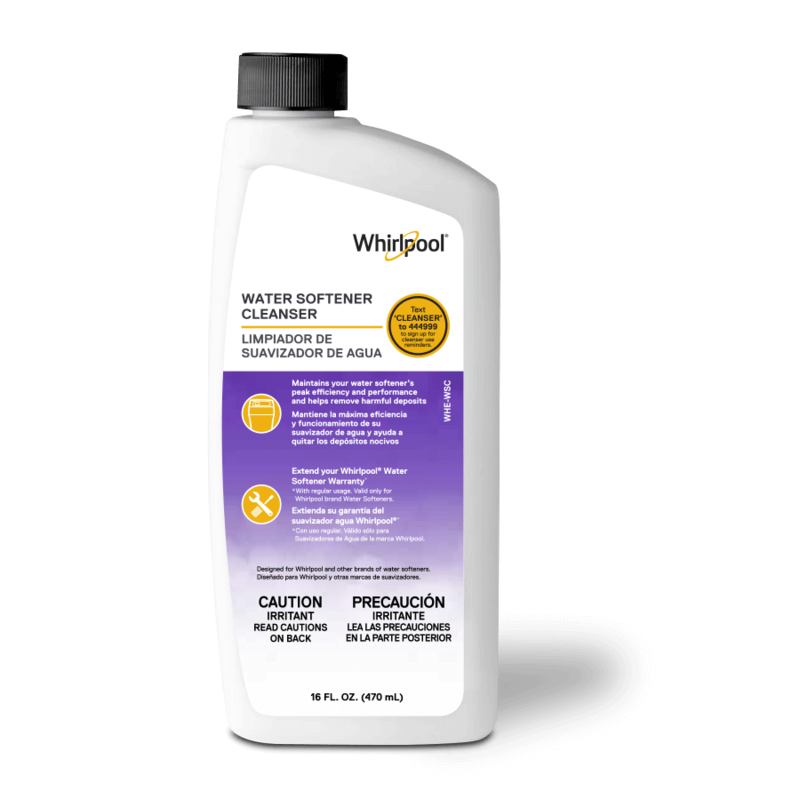 The above warranty only applies while the merchandise is used in Whirlpool branded water treatment system appliances located in residential locations in the United States. The above warranty is effective provided the water treatment system in which the merchandise is installed is operated at water pressures not exceeding 125 psi, and at water temperatures not exceeding 120°F; provided further that the water treatment system is not subject to abuse, misuse, alteration, neglect, freezing, accident or negligence; and provided further that the water treatment system is not damaged as the result of any unusual force of nature such as, but not limited to, flood, hurricane, tornado or earthquake. Ecodyne is excused if failure to perform its warranty obligations is the result of strikes, government regulation, materials shortages, or other circumstances beyond its control. THERE ARE NO WARRANTIES IN ANY MERCHANDISE SOLD THROUGH THIS WEBSITE BEYOND THOSE SPECIFICALLY DESCRIBED ABOVE. ALL IMPLIED WARRANTIES, INCLUDING ANY IMPLIED WARRANTY OF MERCHANTABILITY OR OF FITNESS FOR A PARTICULAR PURPOSE, ARE DISCLAIMED TO THE EXTENT THEY MIGHT EXTEND BEYOND THE ABOVE PERIODS. THE SOLE OBLIGATION OF ECODYNE UNDER THESE WARRANTIES IS TO REPLACE OR REPAIR THE COMPONENT OR PART WHICH PROVES TO BE DEFECTIVE WITHIN THE SPECIFIED TIME PERIOD, AND ECODYNE IS NOT LIABLE FOR CONSEQUENTIAL OR INCIDENTAL DAMAGES. NO DEALER, AGENT, REPRESENTATIVE, OR OTHER PERSON IS AUTHORIZED TO EXTEND OR EXPAND THE WARRANTIES EXPRESSLY DESCRIBED ABOVE. Questions concerning this warranty, or requests for the specific warranty applicable to any parts you might wish to purchase through this Website, should be directed to our Customer Support Center at 1-866-986-3223. These Terms of Sale shall be governed by the laws of the State of Minnesota without giving effect to any principles or conflicts of laws. For the purpose of resolving conflicts relating to or arising out of these Terms of Sale, or arising out of any other dispute or claim associated with Ecodyne, venue shall be in the State of Minnesota only and, in addition, you hereby consent to the exclusive jurisdiction of the federal and state courts in the State of Minnesota. If any portion of these Terms of Sale are held to be invalid, such holding shall not invalidate the other provisions of these Terms of Sale.